MDC President Adv Nelson Chamisa addressing party supporters in Gweru Mkoba Stadium. As the opposition Movement for Democratic Change (MDC) elective congress draws closer, nomination results from Matebeleland North have further alienated embattled secretary general Douglas Mwonzora who for the third time failed to secure nomination to challenge the incumbent Nelson Chamisa. Chamisa’s closest allies, Tendai Biti and Professor Welshman Ncube, party deputy chairperson and co vice president respectively secured the green-light to deputize Chamisa. Party spokesperson Jacob Mafume continues to enjoy his unchallenged mark with Brian Dube receiving the province’s confidence to deputize the former. Binga South legislator Gabbuza Joel Gabuza was the huge surprise on the list as he received nomination for the party chairperson pitting himself with Thabitha Khumalo who had already received nomination in Matebeleland South on Sunday. 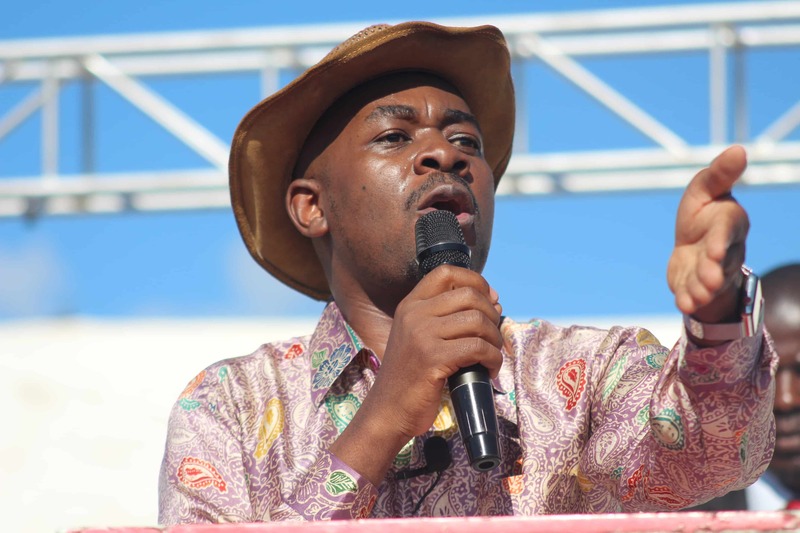 Party heavyweights including Morgen Komichi, Mwonzora, outgoing youth secretary Happymore Chidziva, Women Assembly boss Lynette Karenyi all failed to make it to the nomination list. Another party co vice president, Engineer Elias Mudzuri continues to fire blanks though he still insists he will not pull out of the do-or-die race for party presidency. The provincial nomination processes which kicked off on Sunday, have been largely peaceful with party organizing secretary Amos Chibaya telling 263Chat that the process has been above board.